Preston Palmer, a Conway native by birth was born into a musical family. Though he didn’t know it at the time, music would become the fabric that would bring his career together, not unlike a chorus. As a young boy, his uncle taught him how to play the guitar. “I grew up listening to The Beatles, The Turtles, and The Band,” he says. Before long, his parents recognized his drive, and began taking him to music lessons in nearby Pickles Gap Village. As he continued to grow as a budding musician, so did his needs. 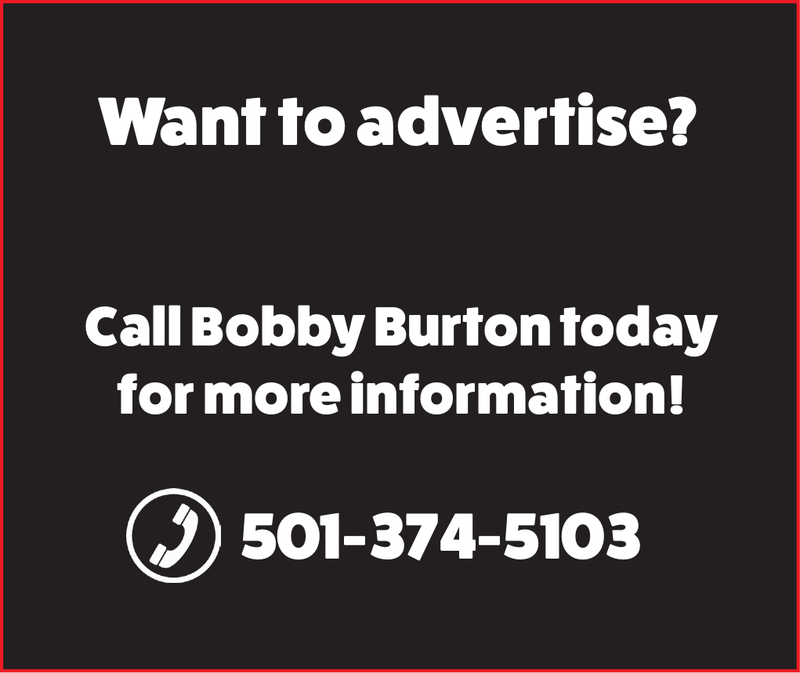 To switch it up, Palmer began taking lessons at Jack’s Music, which turned out to be life changing, because as soon as he could, he began teaching music lessons and learning about guitar repair at Jack’s. And just like that Jack’s became a staunch part of his life, as he says, “Basically from age 16 until 30 years old, I worked for Jack.” During that time he went to school at the University of Central Arkansas (UCA). Palmer was also able to play in a band, touring regionally, largely thanks to Jack. “That job afforded me the ability to be able to do that – to tour and play music while in school,” he says. During that time Palmer worked to get certifications in guitar repair, and before long the idea of opening a music school became more than a dream – it became a reality. In 2011, Palmer was able to open his own music-fueled business, and he was able to work with Jack to make it happen. “We kind of mutually decided, ‘Hey, I’m going to go open this school and repair shop and I’m going to send my students to you to buy guitars, and you send your customers to me to take lessons and have their guitar repaired,’” he remembers. The business thrived and grew until 2016, which at that point had up to 160 students learning a variety of instruments with a budding staff at the helm. “At that time I think I had 11 or 12 teachers working for me teaching all different instruments. I had a repair staff that included myself and one other guy, but we ended up hiring up more,” Palmer recalls. Palmer and his team provide services to make sure that your guitar is in tip-top shape, especially when life happens. “If you drive over your guitar we’ll put it back together and we’ll make it look brand new. That’s always kind of been a passion of mine so it’s part of this business,” Palmer explains. Not everyone knows that the business provides a guitar repair element, but those that do include touring bands, which Palmer intended. As the only place statewide that works on high-end guitar brands like Taylor, Palmer Studios was making a name for itself, and Palmer had plans to keep the business growing. It took a while to nail down the specifics, and even longer for Palmer to buy up all of Jack’s inventory, but by 2017 Palmer Music Company was a open for business. One of the immediate goals Palmer had with the change was to keep Jack’s legacy alive. 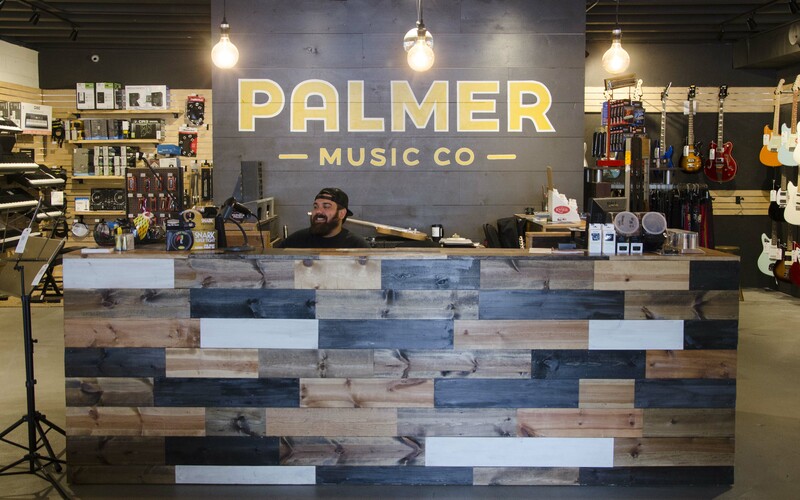 After a little renovation, Palmer Music Company looks very different than it did when Jack’s was at the helm, but Palmer has left Jack’s sign out front as homage to the man, who is more like family than his former boss. One of the toughest hurdles Palmer has faced as a mom and pop music shop of sorts, encompasses the internet and ecommerce at large. 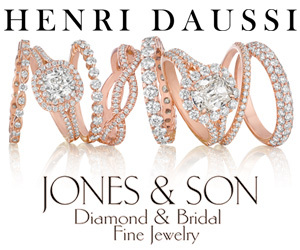 Along the way, Palmer has been able to utilize quality customer service to his advantage in today’s age of buying online, that truly sets him apart. Plus, paying attention to margins has kept him competitive. Some of the best moments Palmer has enjoyed since opening his doors goes back to his staff. “Honestly what makes this place tick at the end of the day is our staff. I’m proud of the business we’ve built, but I am super proud of the staff. We have the best teachers and best repair people around – the guys and girls that work here that make this place tick everyday are unmatched,” he says. 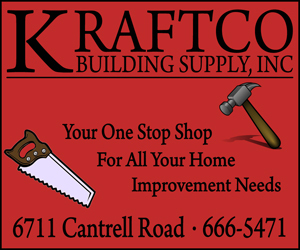 Stop by the shop, and you’ll feel the mantra that Palmer has infused into his business from hiring the correct staff to providing the proper inventory. As far as lessons go, all students are welcome. Palmer likes to say that the studio will “meet you where you are,” whether you’re a seasoned musician, a young novice, or an adult who wants to learn campfire songs. The studio works closely with local Round Mountain Coffee to offer students (who want it) a chance to play live, after they reach a certain level. “There’s a difference between learning the music and being a musician – at some point there’s a turning point,” Palmer explains. Palmer Music Co. is also home to music lessons for Conway’s homeschool population thanks to a partnership with local nonprofit, Blackbird Academy. Unfortunately Blackbird recently closed its doors, but the business is continuing the services. If you haven’t yet, stop by Palmer Music Company on 506 W. Oak Street in Conway or find them on Facebook. 1. You’ll always find a smiling face behind the cash register at Palmer’s Music Co.
2. 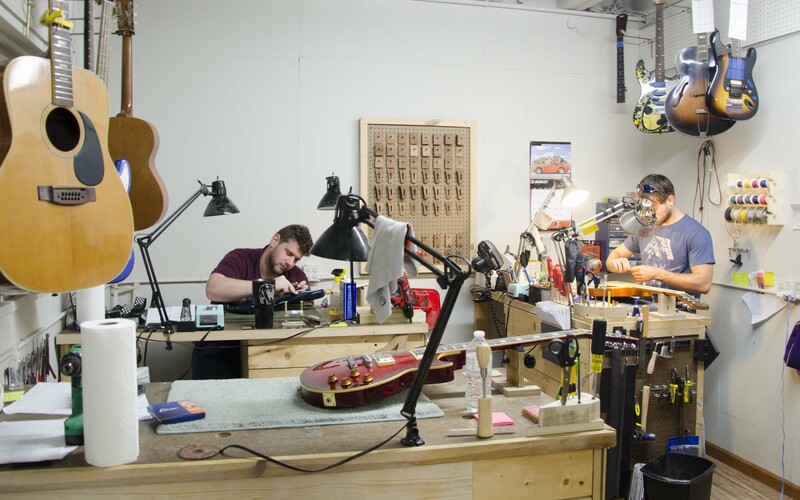 Palmer and his qualified team members are more than capable of repairing your guitar – no matter what you’ve done to it. 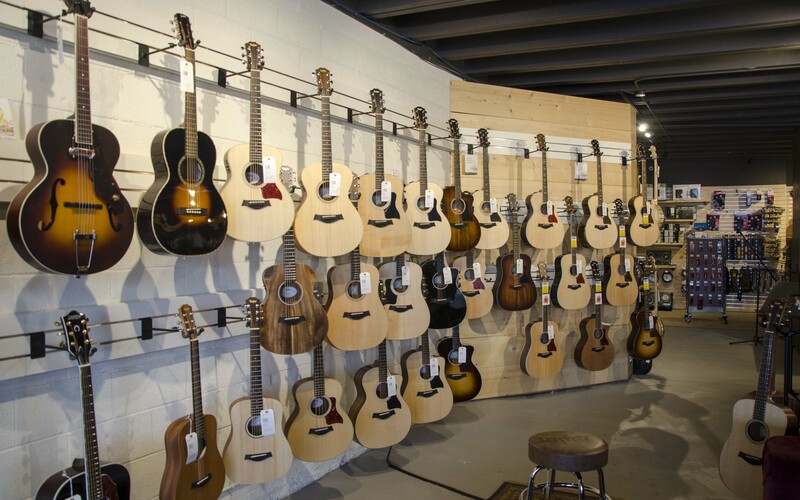 Palmer Music Co. is equipped with areas to do everything from painting and finishing to woodworking. 3. Palmer makes sure he carries instruments musicians are interested in, as well as high-end brands like Taylor Guitars.